Black-and-white silk aeroplane print shirt dress with contrast trim. 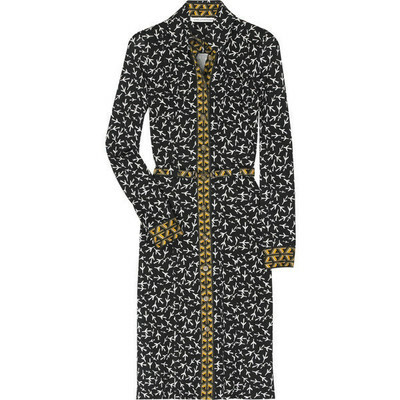 Diane von Furstenberg dress has two breast pockets, a belt at waist, long sleeves and button fastenings. 100% silk. Dry clean.